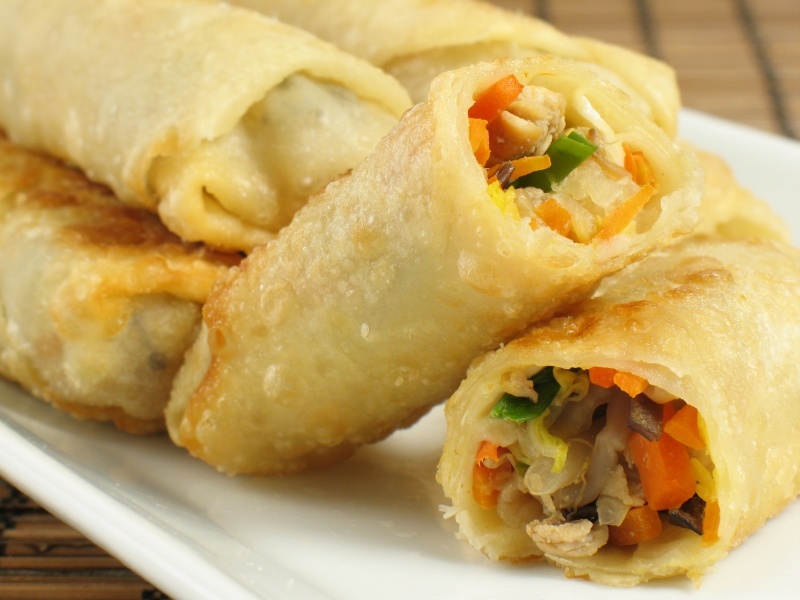 Hello foodies, I'm back again on demand to show you how to prepare spring rolls. 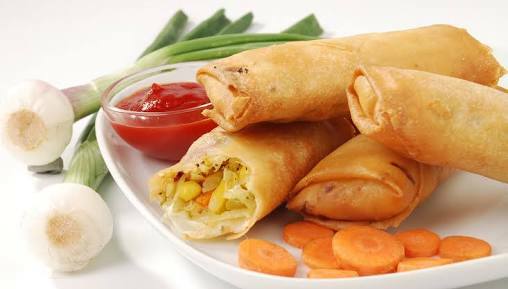 Spring rolls are very delicious and classy snack commonly categorized as small chops or finger-food. It serves well for all occasions; you can include it in your personal menu as breakfast, brunch or midday snack; it all depends on you. - Chop the carrot, cabbage and onion and set aside. Steam the carrot and also set aside. - Put a tablespoonful of the filling into the spring roll wrap, roll tightly and seal with binder. (You may trim off the uneven edges to get a perfect roll before or after rolling). - Deep fry in hot oil until golden brown (or how you want it, but make sure its cooked). - Remove from oil and let it cool (optional). - Serve as desired with drinks or just alone. - You can also garnish with any item(s) of your choice eg carrots, ketchup, fruits or vegetables as shown in the image below. So simple! Trust me, you will love the taste! I hope you share your experience in the comment box below! One more thing, you can make some for sale and get yourself an extra source of income! Lady Rosy, Am already hungry. I can even smell the SpringRoll from your blog already. Whatsapp this for me ASAP. I love your recipes... So mouth watering.. I wish d one I make will like this.. Lol..